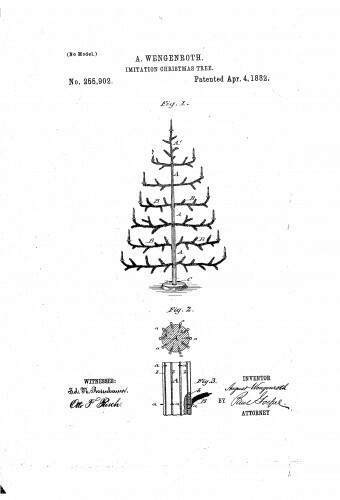 An early artificial Christmas tree decorated with tin Christmas tree candle holders. 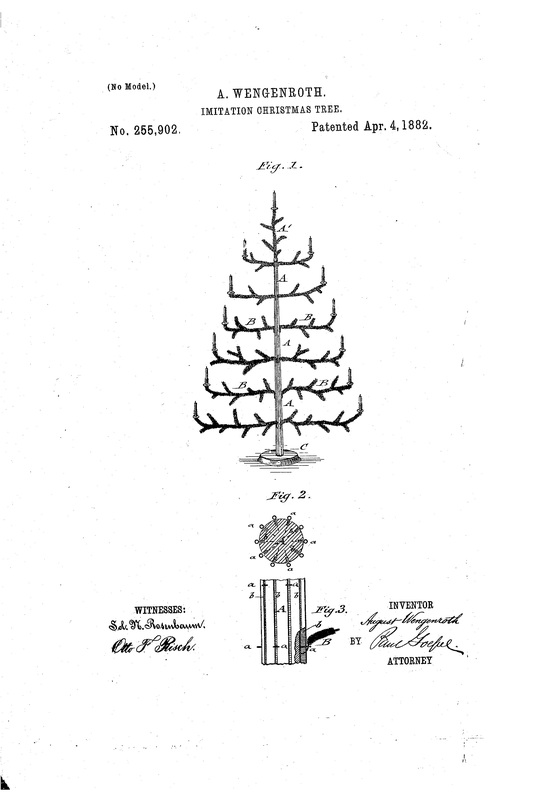 This patent is from 1888. From our collection of Christmas Tree Candle Holder Patents. Credit: www.christmasgiftsfromgermany.com.